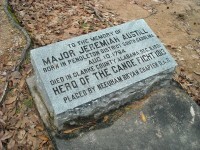 Jeremiah Austill ((1793- 1881) was one of the participants of the famous Canoe Fight that took place in Alabama in 1813. We hear his actual words in this autobiography from him. 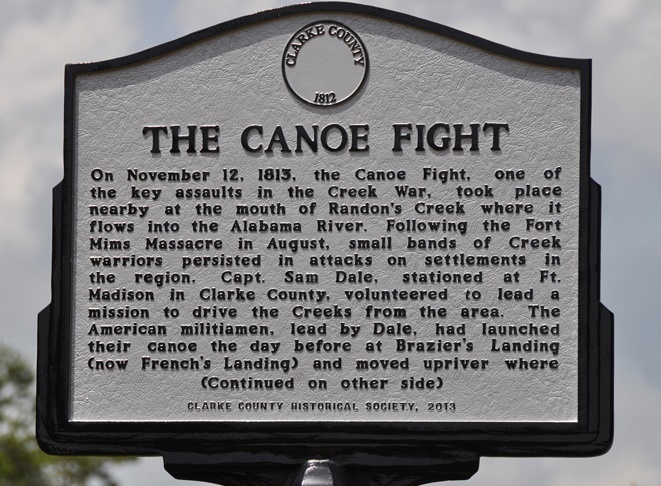 The autobiography was published in The Alabama Historical Quarterly in 1944 and the third part of the article is transcribed here tells of building Fort Claiborne and confrontations with the Native Americans. 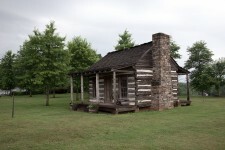 Early in December, General Claiborne arrived with his army, and was joined with volunteers under Sam Dale, of our Fort. 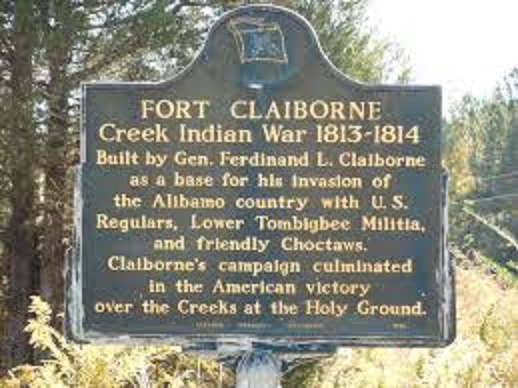 Proceeding to the Alabama River, where several Indians were killed, we crossed on a raft, and built a fort at Claiborne, as a place of deposit. 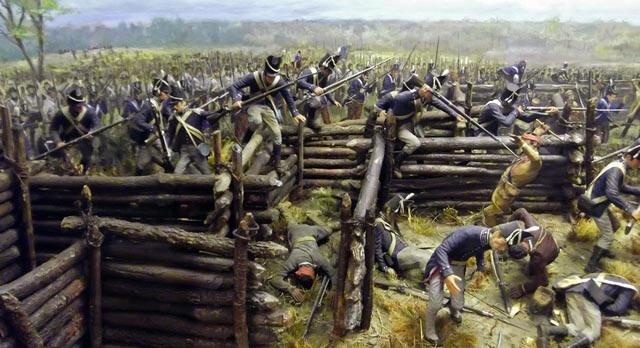 There we were joined by C. I. Russell, with the Third Regiment, thence we marched up the public road within a few miles of the big swamp creek and built a stockade for the wagons and cannon, leaving thirty men as a guard. Turning off to the left, we crossed big swamp creek, and reached within six miles of the Holy Ground, where we spent a very cold night without fire, but an Indian crossed our trail fire-hunting, and before he could be captured, he dropped his light and fled to the town, where he gave warning, and before sunrise, the women and children and their effects had been carried across the river, and at daylight, our army crossed a point of three hundred yards, breaking ice an inch thick. Scouts were seen on the opposite bank where we formed for battle, and ere we advanced fifty yards, the Indians opened fire upon the whole length of our line, a charge was ordered, and a continuous fire was kept up until we reached the towns, where they made a stand for a short time, then they fled up and down and across the river. We camped near the towns, which we rifled and burned that evening. The next morning our men were fired at across the river, whereupon Russell offered fifty dollars to any one that would would swim over for a canoe, a soldier swam over and brought one, I entered it and carried over Pushmatahaw and five of his men, who lay down on the bank until I carried six soldiers, when we marched up the bank into the cane to give the Indians battle, but they fled in the cane. We found a quantity of plunder piled up in the cane, our Indians and soldiers loaded themselves with booty, I appropriated one pair beaded garters. We then some thirty canoes, and returned over the river. The army marched that day up to Bell Weatherford’s farm, the next morning we marched back to our Fort. 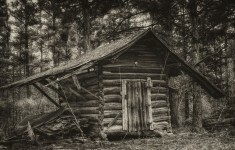 Passing a farm, we surprised three Shawnees and killed them, and that night we reached the Fort, thence back to Claiborne, without a single ration of bread or meat—nine days. I had saved two ears of corn which I parched, and gave half to others of my companions. 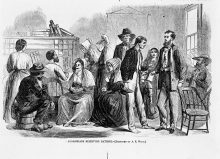 On our return to Claiborne, rations were issued, and before anything could be cooked, three-fourths of the army was drunk, and all of the Indians but one were stretched on the ground. Several of the volunteers died after returning home. Some days later, Col. Russell started upon the West side with the Third Regiment, and two Companies of volunteers, my Father commanded one of them. 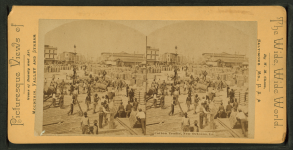 The two companies were mounted, and a schooner was sent up the Alabama to meet them at Cahaba, the old town, the land force taking one week’s rations with them. 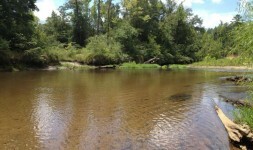 But before reaching Cahaba were out of provisions. They remained there four days waiting for the schooner, after eating one poor horse. 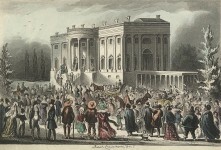 Russell sent Lieutenant Wilcox, with two others, down the river to turn the schooner back, and to fire a swivel to let the land party know where they were. 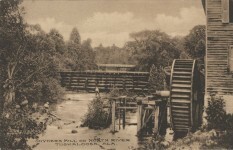 The schooner had passed Cahaba before land force reached there. 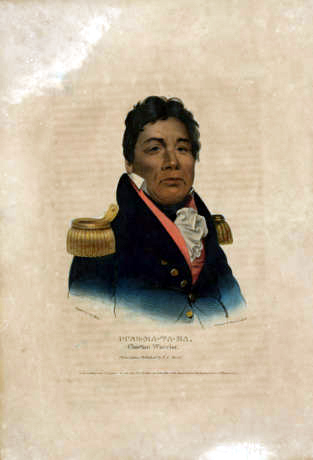 Lieutenant Wilcox landed on his way down, and soon after saw an Indian swimming, and just at his boat. He ran down and dispatched other Indians, fired and killed the Lieutenant; George Foster, of his party, ran in the cane and made his escape. 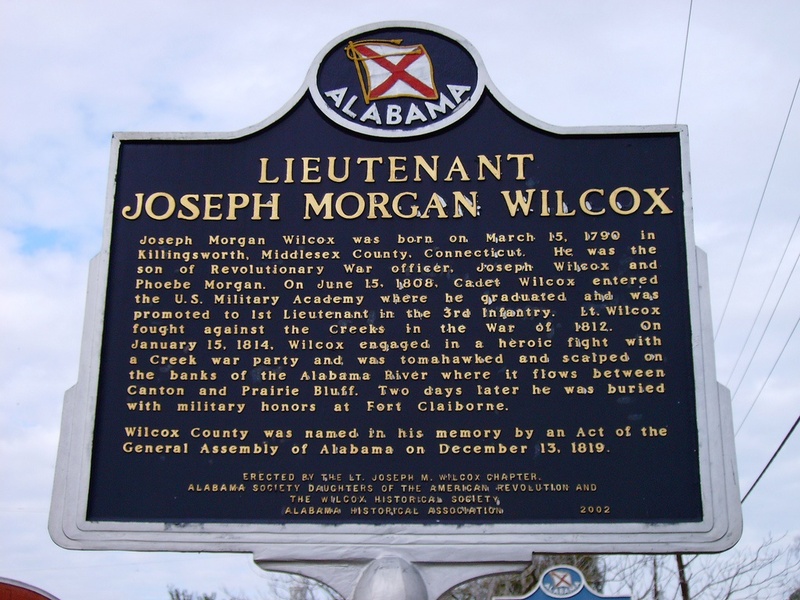 A few minutes after, the schooner dropped down and rescued the body of Wilcox, this gave rise to the name of the County. 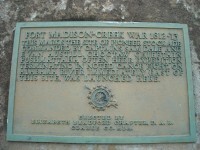 Soon after the battle at the Holy Ground, General Jackson attacked the Horseshoe upon the Tallapoosa—where most of the upper towns were fortified—nearly all the Indians were killed. Jackson then marched down and built the Fort of his name. 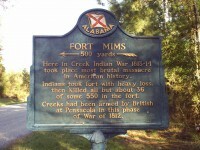 Treaties and building the first roads in Alabama. Margaret Austill’s (b. 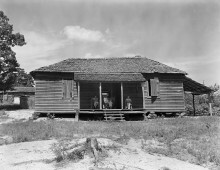 1805) tells about life in the Alabama frontier in her own words. MONDAY MUSINGS: Are you a data collector or a storyteller? Jeremiah is my step 4th GGGGgrandfather. Hi! So I did a little research on a 1886 book I got out of a 4 story mansion in oswego, kansas. The book is called “strange stories from history for young people”. The author was George cary Eggleston. 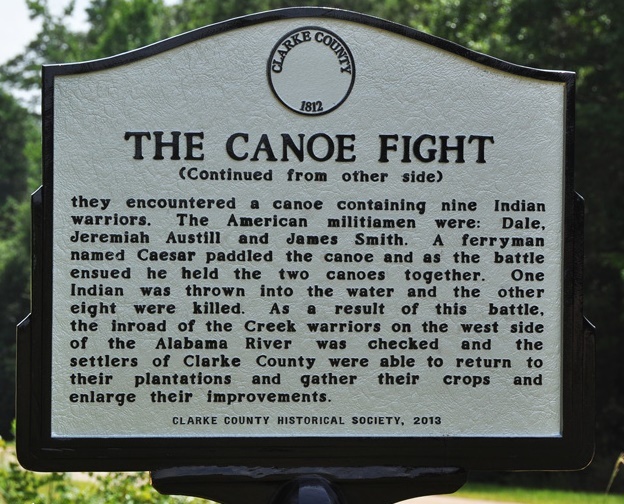 Jeremiah austill was also known as jere austill also cause that is what hes is called in this book, it has a photo of the “canoe fight”during the creek war of 1813-1814 in Clark county, Alabama. A picture of jere austill is 1 on the canoe the black slave at that time also kept the canoes together. You have to be so proud! War? Yes he is one who fought and succeed through this war wow. 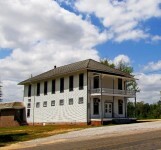 I have got into contact with the Alabama museum and a lady name donny causey. Excellent, really enjoy the “first hand” stories such as this. He is not as colorful as Pickett but this is very informative. Thanks for putting this information out. Is it possible to get a copy of this autobiography in it’s entirety or of the magazine it was printed in? Via online or hard copy. Thank you. Robert Tait Ervin was born in May, 1863, to Dr. Robert Hugh Ervin and Sarah Asbury Tait at Countryside, their home in Camden, AL . Dr. Ervin served in both houses of the Alabama legislature and was elected President Pro Tem of the state senate in 1872. His mother was Mary Ann Eades, sister to Margaret Eades Austill. Sarah Tait was the daughter of James Asbury Tait, a wealthy planter in Wilcox County, and the granddaughter of Charles Tait, the first Federal Court judge in Alabama and the Georgia senator who sponsored the Enabling Act that made Alabama a state. Robert Tait Ervin was also a Federal Court judge, serving in the Southern District of Alabama from his appointment by Woodrow Wilson in 1917 until his death in 1949. 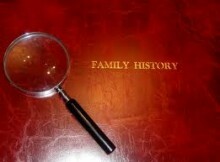 His sister, Aurora Roberta, married Hurieosco Austill, son of Jeremiah Austill and Margaret Eades. In the 1900 Census, Judge Ervin and his wife, Frances Pybas, are shown as living with Judge Austill and his family. Judge Ervin’s son, Robert Tait Ervin, Jr., was a state court judge in Mobile County from 1954 until 1969, after serving during WWII with the American Army in France, where he received the Bronze Star. His grandson is my husband. Proud of our Choctaw heritage! Bell Weatherford? William (Bill) Weatherford (aka Red Eagle) is my GGGreat grandfather.